I discussed the possibility in a previous article, considering whether the Trump regime intends inventing a pretext for military intervention. It’s an option Trump prefers based on his previous comments. The EU, Latin and Central American states oppose intervening in Venezuela militarily. It’s unclear if Pompeo, Bolton and their point man for regime change in the country, convicted felon Elliott Abrams, prefer this option over others. Most likely for now at least, sanctions war will continue, along with US-orchestrated violence and chaos in the country likely to intensify. 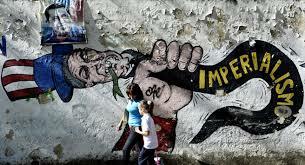 Trump and regime hardliners are hellbent for wanting Maduro toppled – Bolivarian social democracy eliminated, US-controlled puppet leadership replacing it. A similar scenario is playing out in Iran, aiming for the same result. If ongoing war by other means fails in either or both countries, military intervention may be the Trump regime’s fallback option – despite world community opposition. The US prefers so-called “coalition” support for its imperial adventurism. At the same time, governance in Washington is so extremist, hardliners running things may be willing to go it alone in trying to topple Maduro if unable to get partners for hot war. US war on Venezuela by other means is causing “thousands of times greater” harm to its economy and people than so-called “humanitarian aid” can alleviate, a political stunt unrelated to providing help. After proposing talks with Russia on Venezuela, Trump regime hardliners U-turned on holding them, Patrushev explained. Since Hugo Chavez’s December 1998 election, four right-wing US Republican and undemocratic Dem regimes plotted to replace Venezuelan social democracy with US-controlled puppet rule. The plot is more intense under Trump than his predecessors, going all-out to try succeeding where they failed. Is military intervention on the table if other tactics fail – in Iran and Venezuela? It’s ominously possible in both countries. My view is as follows. Putin intervened in Syria against US-supported terrorists, changing the dynamic on the ground, foiling Washington’s attempt to topple Assad – even though endless war continues, diplomatic efforts for resolution since 2012 achieving no major breakthroughs. Similar Russian intervention is needed to preserve and protect Iranian and Venezuelan sovereignty, ideally with cooperation from Beijing, a joint initiative. In a previous article, I proposed that they send peacekeepers to Venezuela. The same goes for Iran if Trump regime hardliners escalate efforts to topple its government. Thousands of Russian and Chinese peacekeepers to these countries would give the US pause about intervening militarily, risking war with either or both – deterring a military option, I believe, without firing a shot. The way to preserve and protect Iran and Venezuela is aiding them this way. It’s not without risks. Failing to take this step entails greater ones, I believe. The time has come for Russia and China to draw a red line not to be crossed on these countries, letting Washington know clearly where they stand. It may be the best strategy to save them and world peace at the same time – at least for now until US hardliners cook up new ways to pursue their imperial agenda.